With hundreds of merchant ship shots taken over the years, this page shows only a small number of examples from my collection. I now intend to cover individual vessels with their own entries as they appear. Meantime, I`ll try and work back and add a few images when time permits with the most recent first. 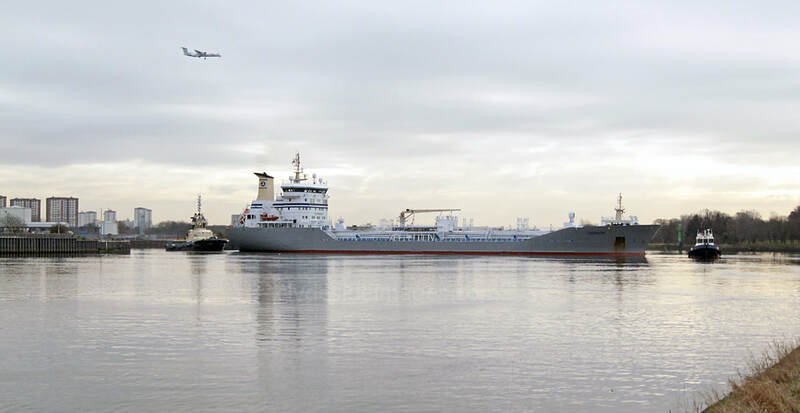 Bulk Carriers and Containerships are listed seperately. Ternvik left Rothesay Dock after an overnight stay, bound for Milford Haven in Pembrokeshire. 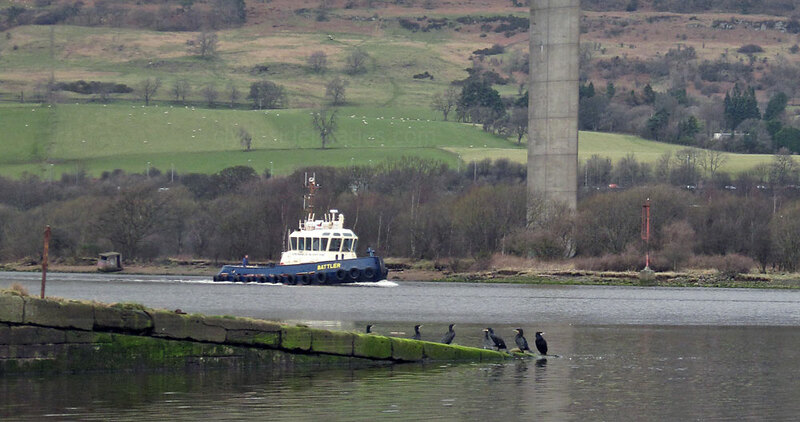 She is pictured below passing the old ferry slipway and under the Erskine Bridge. // A distant view of the Ternvik`s rear end from Bowling. 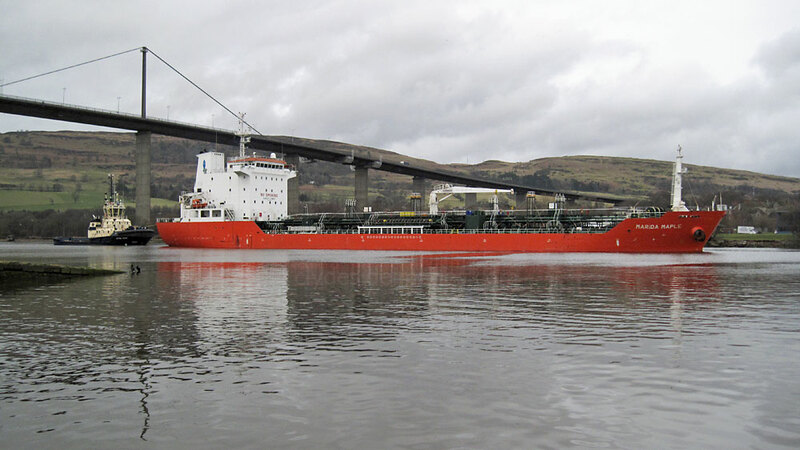 ** A short time later the coaster Suurhusen headed up the Clyde bound for Glasgow. 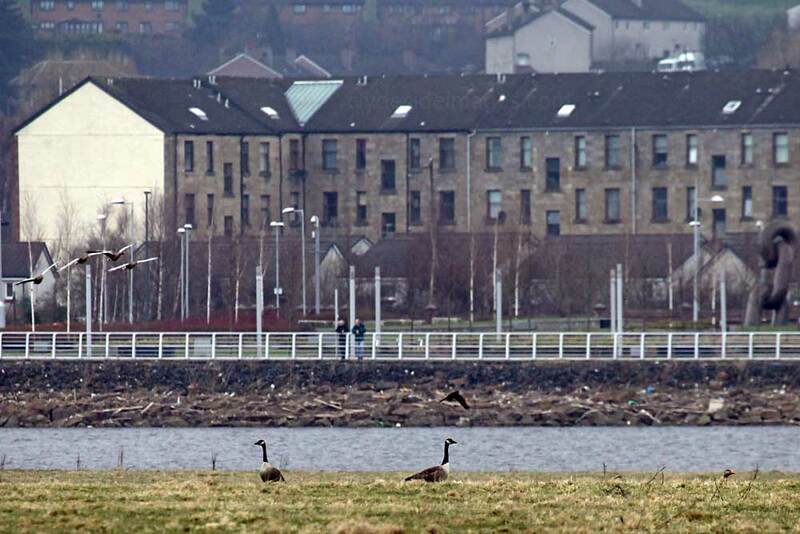 A few Canada Geese had joined the large flock of Greylags on Newshot Island. This fox was patrolling the fields and headed off towards the riverbank when it saw me. 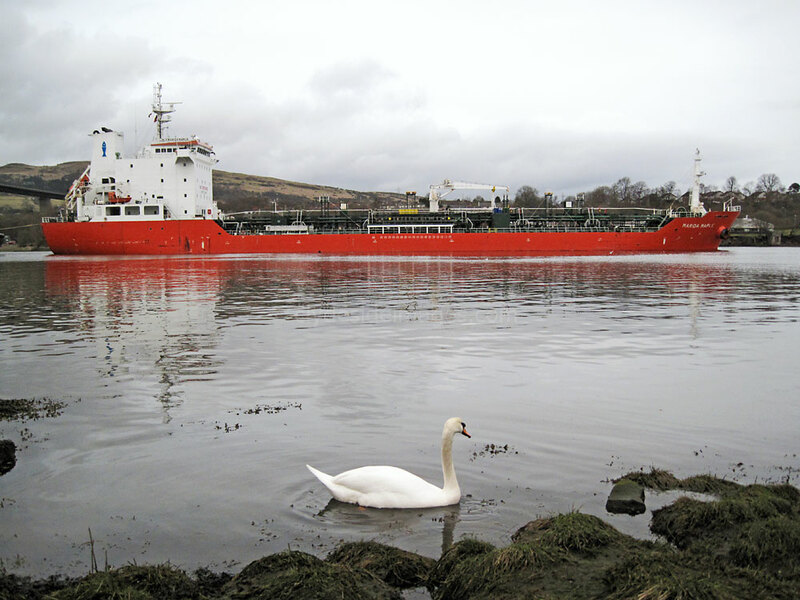 The geese didn`t seem too worried by its presence - they were more annoyed with passing of the ship! 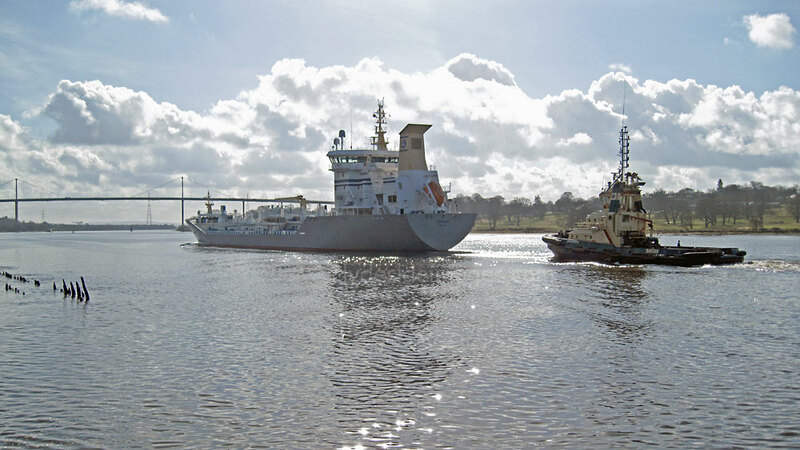 I took these shots of Marida Maple as she passed the old Erskine Ferry slip on the afternoon of 11 March 2011 on her way to Rothesay Dock. Clyde Marine`s Battler (above) led the way with Ayton Cross at the stern. Although March 1st was not as bright as the previous day it was still pleasantly mild with very little wind which made for a nice reflection on the river. 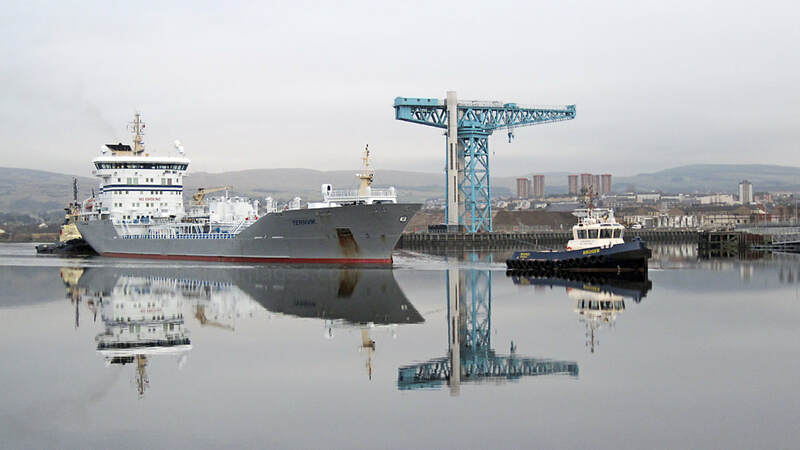 Ternvik, a Danish-flagged Oil and Chemical Products vessel is a regular at Clydebank`s Rothesay Dock. She appeared this morning around 0945 hrs. I wandered over the fields to catch Bruiser (below) and Anglegarth help her manoeuvre, stern first, into the berth alongside the Oil Terminal.